It's official. We finally have definitive scientific proof that dogs are better than cats. A team of researchers at Manhattanville College in New York conducted a survey of 263 adults in the United States. 64 percent of the study participants owned a pet, and 41 percent of those owned a cat, while 53 percent owned a dog. The participants answered survey questions about their personalities and well-being. The researchers concluded from the responses that all pet owners were more satisfied with life than non-pet owners. They also found that dog owners had a greater well-being than cat owners. Compared to cat owners, dog owners are significantly more conscientious and significantly less neurotic. Dog owners are marginally more extroverted, and they are, overall, happier than cat owners. So, does this end the debate of cats verses dogs? Can the dog owners declare victory? Probably not. You might say that the battle of dogs verses cats is not so much a scientific debate, as it is a clash of differing personal preference. 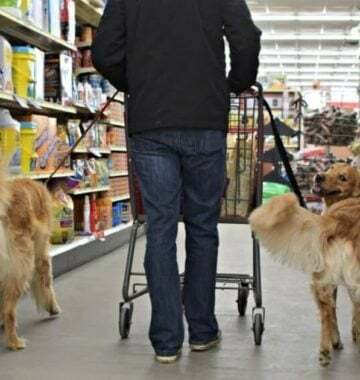 Some people are dog people. Some people are cat people. Some have both! No matter whether you prefer cats or dogs, what matters most is that you love your pet.